Our inspiration of Tall comes from our experience of visiting people house. When we see many shoes putting near the front door without a good place for them. 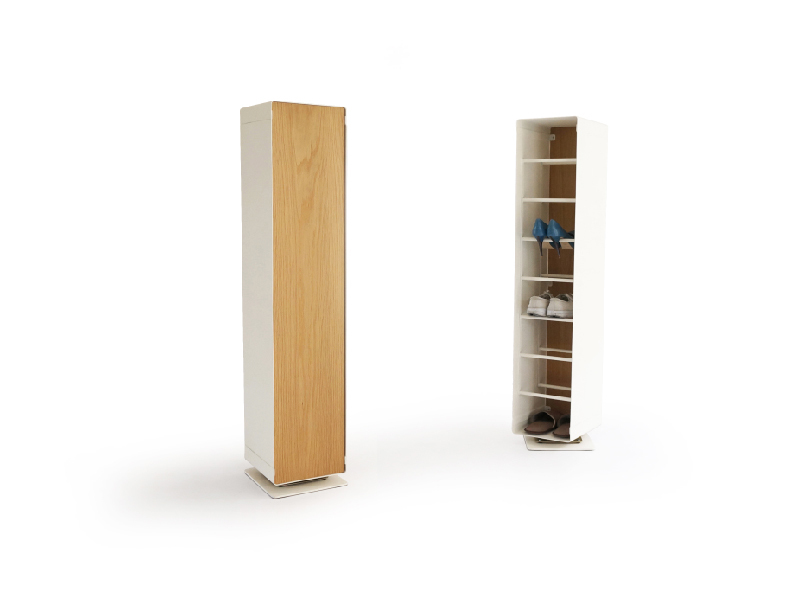 We come up with the idea to design a slim shoe storage, rotatable, no door and no ventilation slot. Most importantly, it is a nice looking piece of furniture to place in your room.